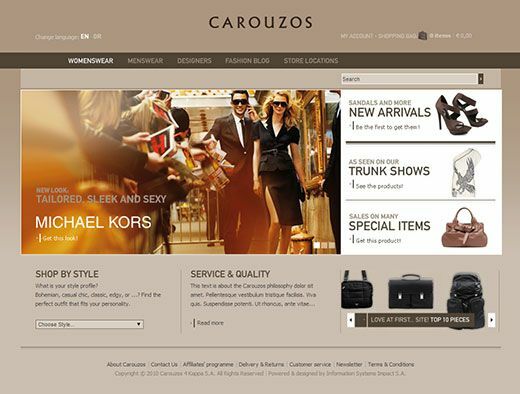 Carouzos, which holds a leading position in the field of luxury men’s and women’s apparel, footwear and accessories, created the first Greek online luxury clothing store in collaboration with Information Systems Impact. The website’s pleasant, yet effective navigation by the user. From the product search to the completion of an order, the user navigates in an elegant, yet functional environment. Through the system’s management console, the administrator is able to update the system in the best possible way. Through i@content, a well-structured management platform, the administrator can easily and efficiently process the product list, update prices and offers, enrich the visual appearance of the website as well as accurately and safely manage the user’s orders.